Julia Wester is passionate helping people visualize and manage their work, showing that management doesn't have to be a dirty word, and helping people remove unnecessary drama at work. 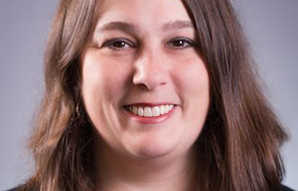 After 6 years managing web development teams at F5 Networks and TBS followed by ~3 years at LeanKit training, consulting, and managing the customer education team, she now runs her own Lean/Agile training and consulting company called Lagom Solutions. A Web Developer turned Manager turned Lean Consultant and Kanbanista, she has been fortunate enough to learn that the process/method/framework/etc isn’t the point, but rather teaching people how to learn from what they’re doing, some tips and tricks they can try to use to improve it, and then repeat that loop over and over again. She wants to teach people to be a scientist specializing in improving their own environment, and be able to say that she’s helped people tame the chaos and reduce unnecessary drama at work.